Bonn, Germany, November, 13th, 2014. In diseases of the brain, such as Alzheimer’s and Parkinson’s, the neurons fail to communicate correctly with each other. As Bonn-based researchers of the German Center for Neurodegenerative Diseases (DZNE) now report in the journal “Neuron“, these connectivity problems can be ascribed to alterations in the structure of the nerve cells. For their study, the scientists investigated diseased nerve cells using high precision methods and subsequently simulated their electrical properties on the computer. In their view, medical interventions that preserve the structural integrity of neurons may constitute an innovative strategy for the treatment of neurodegenerative diseases. For their study, the scientists combined experimental research with computer simulations. 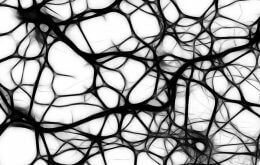 At first, they examined the electrical activities of individual neurons as well as those of larger cell groups. For this purpose, they studied mice, whose brains exhibited Alzheimer-typical hallmarks. Furthermore, using high-precision microscope techniques, the scientists determined the dimensions of healthy and diseased nerve cells. Based upon this structural data, Remy’s team created a three-dimensional model of a single neuron and computed its electrical properties. In this way the researchers were able to relate cellular dysfunction to changes in cell morphology. Zuzana Šišková, Daniel Justus, Hiroshi Kaneko, Detlef Friedrichs, Niklas Henneberg, Tatjana Beutel, Julika Pitsch, Susanne Schoch, Albert Becker, Heinz von der Kammer, Stefan Remy.